Every two weeks, the blogosphere comes alive with something called a Blog Off. A Blog Off is an event where bloggers of every stripe weigh in on the same topic on the same day. The Blog Off this round came about by popular vote and it's based on a human resources exercise where people write their own obituaries as an exercise in answering the question "Who are you?" A traditional newspaper obituary is 208 words or less so we're honoring that old convention to keep things brief. It may come across as macabre but I don't think it is in the least. Life's short and denying that needling truth does nobody any favors. So without any further ado, here's my obituary. I'm leaving off the dates to heighten the mystery. Yeah right. Paul Anater died. He hated flowery terms meant to disguise the finality of death so we'll say that he died. Expressions like "passed on" and "passed over" got on his nerves but the inane "passed" sent him into fits of apoplexy. "Passed what?" he would bark. "Passed the bar? Passed the idiot in the right lane? Call things what they are." Oh that Paul. He had little patience for public self-analysis and was smart enough to know that the term for it was omphaloskepsis. He was also smart enough to know that it came from the Greek for "navel gazing." He found other peoples' omphaloskepsis to be self-indulgent and listening to it to be tedious. He spent inordinate amounts of time engaging in it himself of course, but he kept such things private. Underneath his crotchety exterior he was someone who understood the difference between a thought and a feeling and the wondrous nature of each. He could be imperious and demanding but never thought twice about stopping to answer a question or praise an effort. He loved deeply and was loved just as deeply. No matter what else he did or didn't do, he knew they were the only things that really mattered. So there you have it a Blog Off obituary in 206 words to be precise. That was a fun exercise. Really. What would you want to appear as your obituary? If something like that ran in The Times I'd be thrilled despite being too dead to appreciate it fully. More than anything it said, I'd be thrilled just to show up in The Times. Hah! As the day goes on, the rest of the participants in today's Blog Off will appear miraculously at the end of this post. 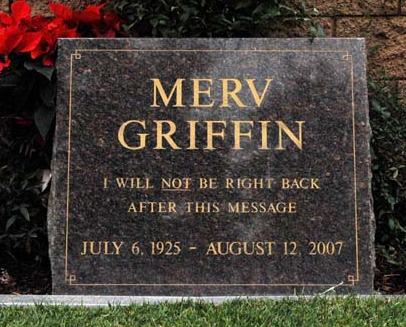 Keep checking back and check out everybody's obits. You can follow along in Twitter as well, just look for the hashtag #LetsBlogOff. If you'd like more information about about the Blog Off or if you'd like to see the results of previous Blog Offs, you can find the main website here. Too dead to enjoy it? Are there differing degrees of death? Oh geez. This changes everything. Haha. Paul, I really enjoyed this and it's certainly making it increasingly difficult for me to decide which post... to post. I've written 2+. Ah. Perhaps, death by analysis... on my part? Wow...guess you shouldn't read mine then to avoid "fits of apoplexy" :) Nice post...I like the loved deeply and was loved deeply. Nice aspiration. Jamey: Death by Analysis... great line! Well, all right, make me feel completely inadequate. All I wrote was a traditional obituary. Seriously, though, yours is very clever and says something about you. Good job, my man! Thanks Joseph and thanks Cindy. King blogger, I like that! Well, we certainly seem to have a lot in common, Paul. I also prefer the unvarnished truth rather than euphemisms. As you do, I especially loathe the term 'passed.' Nice post. Thank you for adding to my vocabulary (postmortem)! "Omphaloskepsis" - not easy to say three times fast, by the way..I still can't do it without giggling. The Times would be honored to print your obit! Allison: It's good to know I'm not alone in my linguistic pet peeves. Cham: It's a great word and it comes in handy at parties. When someone starts prattling on about his or her "journey," throw that one out like a hand grenade. THANK YOU!!! I, too, can't wait 'till "passed" is past. The first term I think of every time someone says someone passed is "passed gas"... which of course is itself a euphemism. "Died" works just fine... it's what they did. Passed gas, that's funny. That one never occurs to me, I think in terms of passing tests or passing traffic. Why bother sugar coating death? Have you ever had the opportunity (not sure that is the right word here) to receive condolence cards after the death of a family member? I am always shocked at how seldom people reference the fact that someone DIED. It is always, "Sorry for your loss" w/out naming the loss or "Sorry to hear of so and sos passing" like you said, passed what? I took care of my friend Woody up until he died and was the executor of his estate. I got to play grieving widower as a bonus. All of the euphemistic condolence cards were lovely and appreciated. However, what I would have appreciated more than anything was some help with getting rid of all of Woody's crap. You are right. That cleaning out may be the biggest job of all. A new idea for obituaries: "In lieu of flowers random items of the deceased may be picked up at..."
Oh my God that's brilliant! Absolutely brilliant. You wouldn't believe how much of that man's crap I still have lying around ten years after he died.